Purpose: To characterize the influence of six factors on human thyroid tissues at the cell-proliferation level. These six factors were the epidermal growth factor (EGF), the luteinizing-hormone-releasing hormone (LHRH), triiodothyronine, thyroxine, estradiol and gastrin. Methods : Forty-eight human thyroid specimens were obtained from surgical resection and maintained alive for 48 h ex vivo (in vitro) under organotypic culture conditions. These specimens comprised 35 benign cases (17 multinodular goiters and 18 adenomas) and 13 cancers. Cell proliferation in the control and treated conditions (at a 5 nM dose) was assessed by means of the thymidine labeling index, which enables the percentage of cells in the S phase of the cell cycle to be determined in accordance with autoradiographic procedures. Results: The results show that, of the six factors tested here, EGF significantly (P < 0.05 to P < 0.001) increased cell proliferation in the greatest number of cancers as compared to what happened with the remaining five. Each of these six factors significantly increased or decreased proliferative cell activity in some 10%–30% of the cases under study. 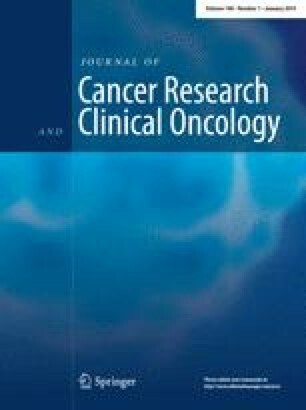 Conclusions: Triiodothyronine, thyroxine, LHRH and gastrin may increase or decrease cell proliferation in human thyroid tissues, whether benign or malignant, to the same extent as other hormones and/or growth factors such as thyrotropin, EGF, insulin-like growth factor 1, transforming growth factor β1 and estradiol the effects of which on thyroid cell proliferation are already well documented in the literature. Key words Human thyroid Multinodular goiters Adenomas Cancer Cell proliferation Hormone sensitivity.